The mission of The Friends of the Marina Library is to provide advocacy, funding, and volunteer resources to support the Marina Branch Library in order to meet the needs of our community. 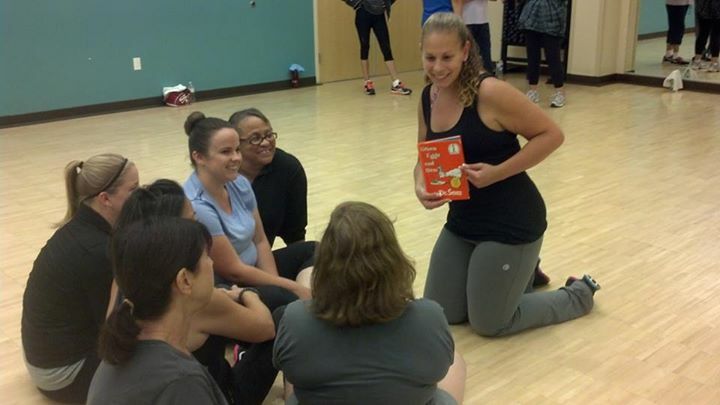 Nicole Nancy Amaral and some of her students enjoy a little Sam-I-am before cranking up the music super-loud for Zumba class at the Peninsula Wellness Center. Nicole dances herself in four different directions. She is the mother of a toddler, she's an online professor for the University of Phoenix Education Department, she is a real estate broker, and she teaches Zumba. We've all been told that regular exercise gives you more energy. Perhaps that is actually true.